Mission: Cultivating Community grows sustainable communities by expanding access to healthy, local food; by empowering youth and adults to play diverse roles in restoring the local, sustainable food system; and by modeling, teaching, and advocating for ecological food production. 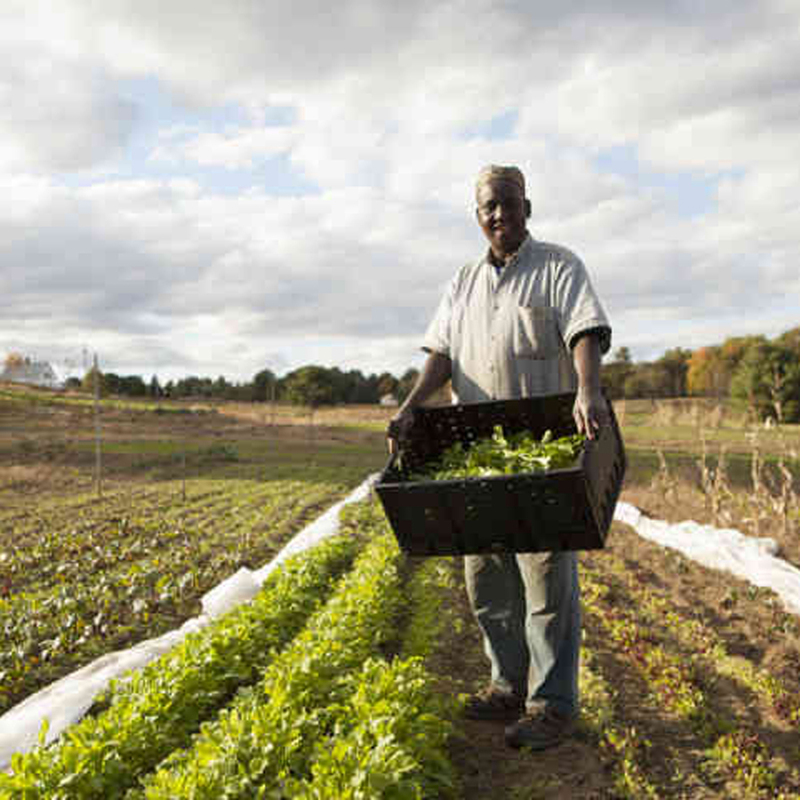 QFF Grant: To expand an integrated program of community-based food production, land stewardship, food access, and education across Cumberland County. In partnership with the Falmouth Land Trust, Cultivating Community will develop the Hurricane Valley Whole Community Farm and Education Center. They will engage in a community-based planning process, with support from Portland’s Resilience Hub, with the goal of bringing together traditional and emerging growing techniques including organic crop production, small-scale livestock production, pollinator habitat development and bees, perennial fruit tree plantings, and a permaculture food forest. Community Driven: They prioritize diverse representation in their decision-making so that all voices are heard and their goal is to cultivate participatory, community-based solutions. They work hard to ensure programs are welcoming and accessible to all. Mutually Beneficial: Cultivating Community addresses human and environmental health through their programs. As an example, Hurricane Valley Whole Community Farm and Education Center will support growing techniques, which produce healthy foods in an environmentally sustainable manner. Mission: Gedakina is a multigenerational endeavor to strengthen and revitalize the cultural knowledge and identity of Native American youth, women, and families from across New England, and to conserve our traditional homelands and places of historical, ecological and spiritual significance. Empowered Health: Participants will learn new skills, which support a healthy lifestyle, which will last them a lifetime. Mutually Beneficial: While program participants learn new skills that will benefit their personal health they will also be restoring connections to the natural environment to continue the culture of stewarding the earth. Community Driven: Programs are developed and led by and for Native American community members. Equitable: Grant funding supports an underrepresented population in the state of Maine. Mission: Teens To Trails is dedicated to increasing the opportunities for Maine teens to experience the out-of-doors through the systematic creation of and ongoing support for high school Outing Clubs. QFF Grant: General Operating Support to extend their reach to more distant and rural schools, especially in Northern Maine. Equitable: T3 is deepening their commitment to partnering with schools outside of Southern Maine with the goal of reaching more underrepresented geographic regions throughout the state. Empowered Health: Outing Clubs empower young people to learn new skills and take ownership of their health through active outdoor recreation. Community Driven: The Outing Clubs are developed and implemented by students at each school with the support of T3. The fact that teachers and students develop and run the clubs means the programs are more likely to be meaningful and relevant. Mission: The mission of 47 Daisies is to nurture community through sustainable cultivation of the highest quality food, preservation of the farm’s land base, and celebration of a vibrant future of farming, nature and the interconnections of human needs and whole ecosystems. QFF Grant: The QFF Grant will support 47 Daisies Food Access Programs which seek to make locally grown food more accessible to people who are often excluded from participating in the robust local food movement. Specifically, QFF grant funding will support free and reduced cost CSA shares to people in need, free vouchers for produce through their KidsChef Program, intern stipends, and educational programming to encourage community connections. Equitable: 47 Daisies programs provide healthy organic food to an underrepresented community in central Maine. Empowered Health: 47 Daisies is developing a farm program for local youth who participate in the KidsChef program. 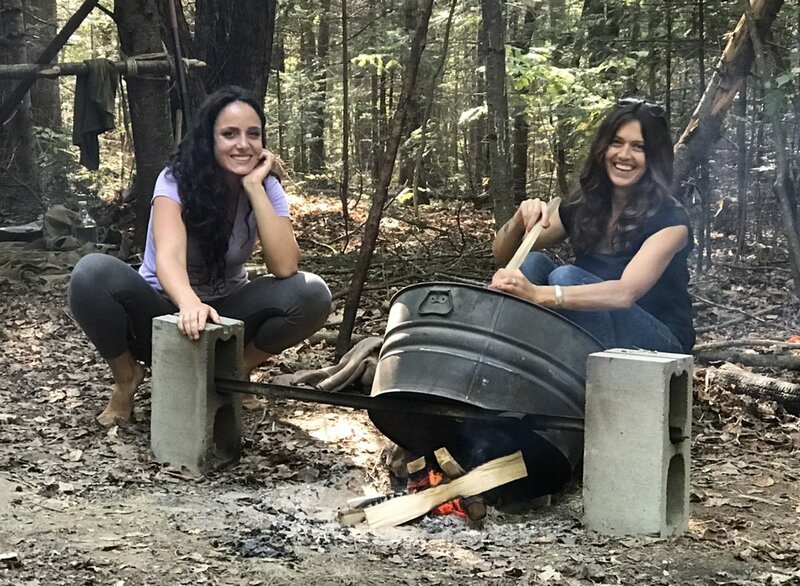 The youth will not only learn how to cook, but they will have an opportunity to closely connect with the source of their food while spending time outdoors. Connection: Their educational programs bring people together to learn new skills while connecting with one another.